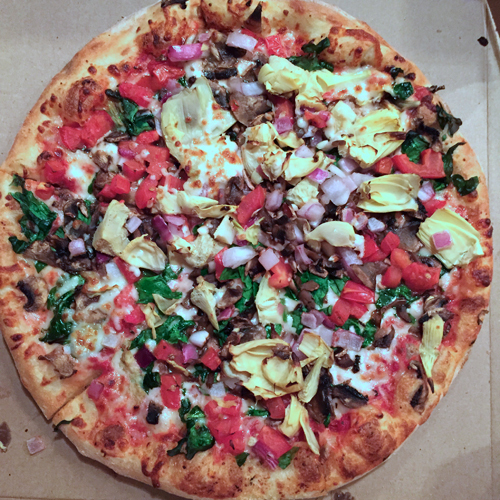 I love a good pizza heaping with vegetables. Although I’m not in love with many vegetables, this is one of the few things in life where I prefer vegetables, lots of them, and no meat. I recently did a bread baking class with a friend who runs a cooking studio and it got me thinking about making pizza crust. This was my first take, so stay tuned for more recipes! Perhaps it’s the subliminal messaging from TV ads, but something made me decide to spike my pizza crust with flavor by using some Everything Bagel Spice mixture. That turned out to be a very smart idea. 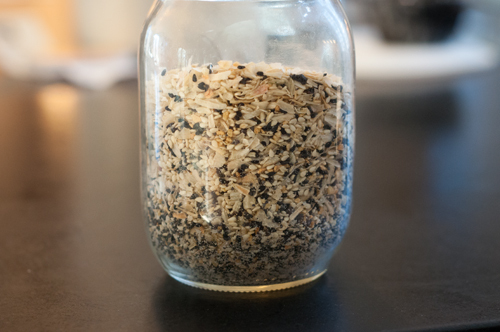 One of the things I learned at the bread baking class was to start the yeast in warm water to be sure it’s active before you mix everything together. It should create a nice layer of some foaming bubbles on the top, and then you know you’re good to go. A stand mixer with a dough hook takes the work out of making dough, but you can also knead it well by hand if you don’t have one or just prefer doing it that way. If using a mixer, you know it’s has the right mix of flour and liquid if the dough pulls fully away from the sides and is smooth and elastic but not too sticky. When it’s ready, you’ll need to let it rise in an oiled bowl until it doubles in size (1-3 hours). I sometimes turn the light on in my oven to make it a bit warm and put it in there, or else on the counter just underneath the cabinet lights that give off a tiny bit of heat. 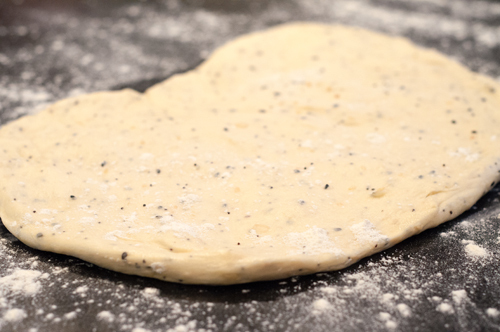 When your dough is ready, gently press it into the shape of your pizza stone (or pan) and then let it just sit a couple of minutes to relax the dough. 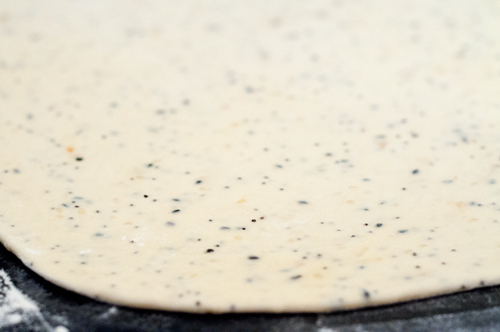 That short rest will allow you to fully roll it out, without the dough fighting back too much, into a nice thin layer. This recipe makes enough for 4 thin crust pizzas that will cover a baking sheet or rectangular pizza stone. I’m not very adept at moving the loaded up pizza to my pizza stone with a peel, so I suggest heating the stone, rolling out the dough, sprinkling the stone with some cornmeal, laying the dough on the hot stone, adding toppings, and then returning the stone to the oven to bake. 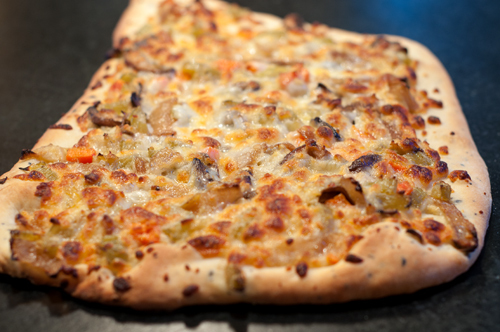 Put whatever you want on your pizza – I had a bunch of sautéed vegetables left over from a pizza class earlier that I sprinkled over the top with some mozzarella cheese (a white pizza). You can use sauce if you like or really can dress your pizza with your very own favorite toppings. The results? The bagel spice was a great idea and added wonderful flavor to the pizza crust. The crust itself was thin and crisp and pleasant, but didn’t have that pizza crust texture and chewiness that I was hoping for. That’s most likely because I used all purpose flour instead of a 00 flour. So that got me thinking about what to do with the rest of the dough, and I decided to make a loaf of bread out of half of it. Turns out that was a GREAT idea. 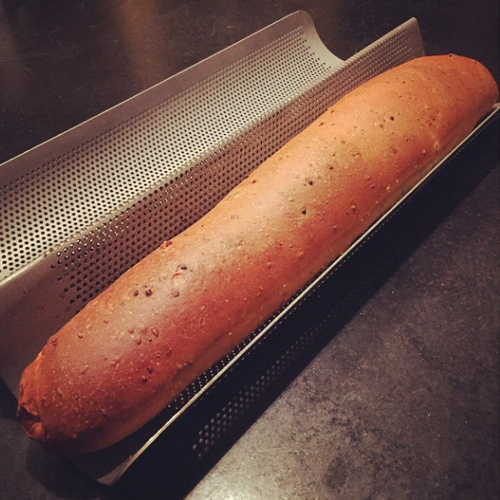 The texture was perfect for bread, and we’ve been enjoying that with chili, soups, and more. So do go ahead and try this dough, but also please do come back for the next version of pizza dough. 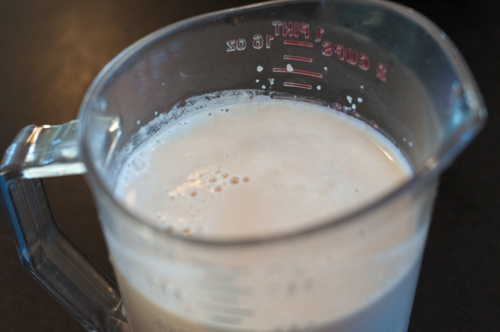 While the yeast is activating, combine the flour, spice, and salt in the bowl of a stand mixer with the dough hook on and mix together for a minute. add the olive oil and the yeast water and mix on low until the dough comes together into one ball and pulls away from the sides, about 3 minutes. 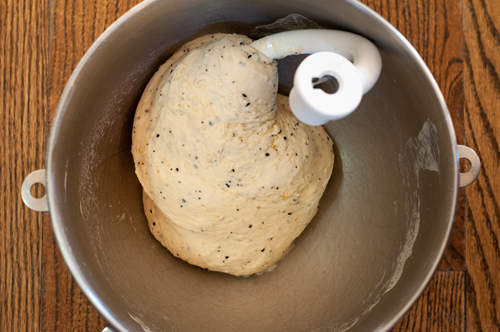 Increase the speed to medium and let the mixer knead the dough for 5 minutes. 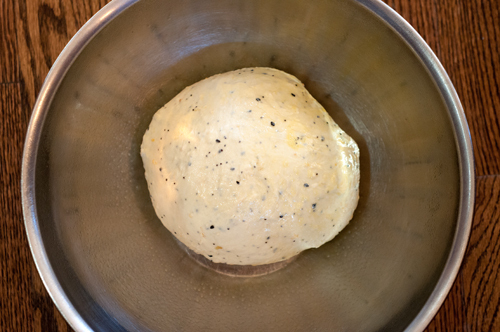 Remove dough to an oiled bowl, rub some oil on the dough, cover, and place in a slightly warm place to rise until double in size, 1-3 hours. When the dough has risen, cut into 4 pieces to make 4 crusts. Alternatively, divide the dough into two pieces and shape into baguettes. If making pizza, roll out into a thinly shape to fit your pan or stone and proceed with topping your pizza and baking at 400 degrees for about 15 minutes. 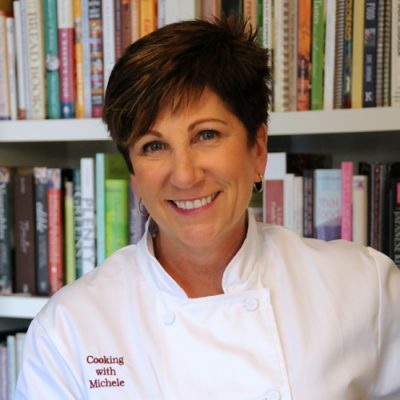 If making bread, lay the baguettes in a baguette baking pan, cover, and let them rise slightly again before baking at 400 degrees until nicely browned, about 15-20 minutes. 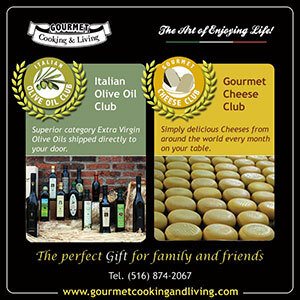 Baked Italian Eggs – and Olive Oil Giveaway!